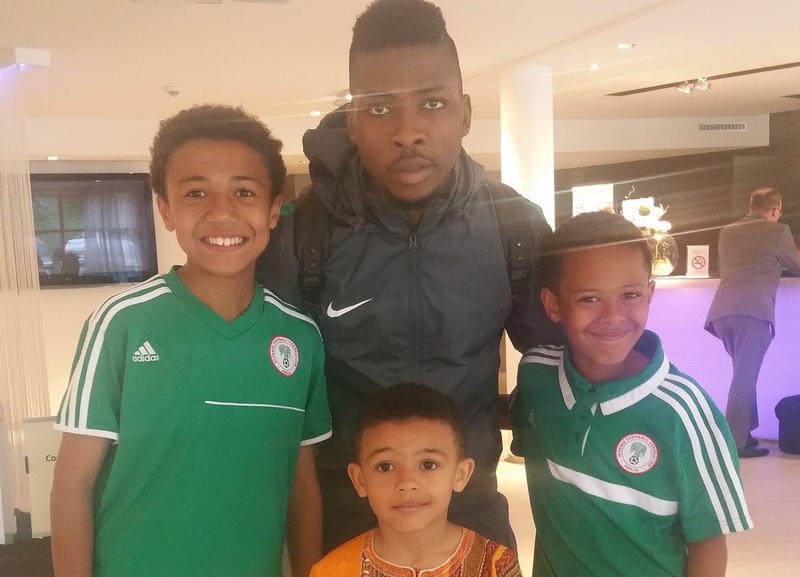 Highly rated Nigerian-American youngster, Lateef Omidiji Jr was at the venue for Nigeria’s friendly game against Luxembourg and had the opportunity to meet his favourite Super Eagles stars. Lateef Jr. is currently the lead scorer at his youth side despite being two years younger than his team mates and opponents. According to the young lad, he hopes to represent Nigeria someday like his heroes Rasheed Yekini, Daniel Amokachi, Austin ‘Jay Jay’ Okocha and Mutiu Adepoju. 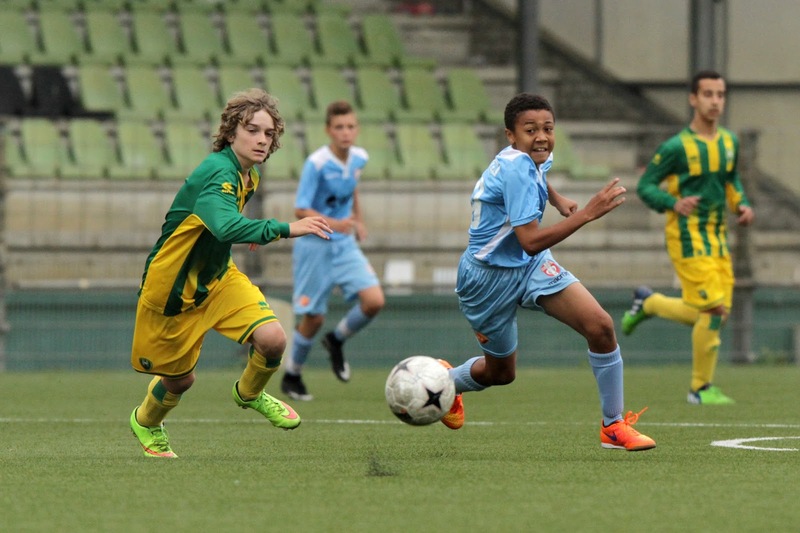 The Dordrecht U14 forward who has sparked the interest of various European clubs including FC Barcelona, got a chance to meet and interact with his favourite Nigerian stars including Iheanacho and Troost Ekong. Lateef recently showed what he’s capable of when his side faced QPR’s U14 team in a tournament featuring some of Europe’s elite football academies, where he amazed even QPR’s coach who couldn’t believe Lateef wasn’t already on his countries National team. Lateef’s has shown interest in playing for Nigeria despite being born in the USA. According to him in an interview with Goal.com, he has received an invitation from USA but he still wants to play for Nigeria. 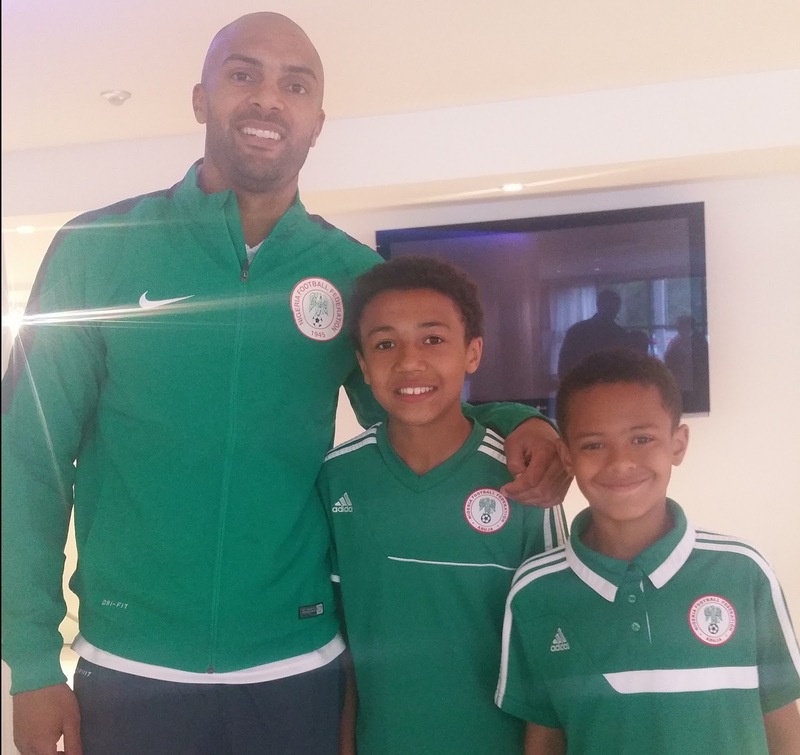 “Although I have received interest from USA Football, my heart lies with my fatherland [Nigeria],” the 12-year-old said. While interacting with players of Nigeria’s Super Eagles Lateef was encouraged to continue with his fine performances and to choose Nigeria over USA.